When it comes to automating sales, marketing and other work-related processes within an organization, Flexie CRM reigns supreme. More specifically, building a workflow allows you to automate tasks that would otherwise take a lot of time and manual labor. Below is a detailed and illustrated scenario of how can you build a workflow in Flexie CRM. Name the workflow and write a description of it (optional). To start building the workflow, click the Launch Workflow Builder button. 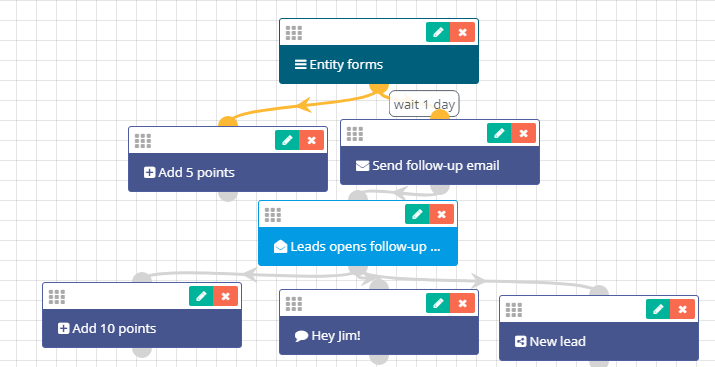 Let’s say you want to build a simple workflow upon leads submitting your form. First, go to Workflow sources and click on Entity forms. You want to add 5 points to the lead and also send a follow-up email. First go to actions and click Adjust lead points. Next, add 5 points and then click Add. Next, go to Actions once again and click Send email. You don’t want to send the follow-up email email immediately, though. Say you want to wait at least 1 day before sending the email. Fill in the fields and click Add. 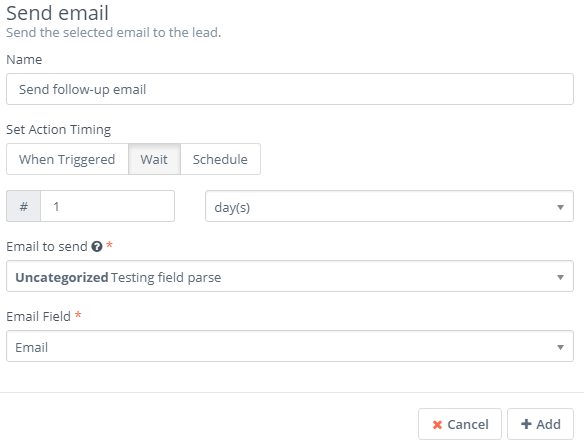 You also want the workflow to execute other actions if the lead opens the follow-up email. First, go to Watch For events and click on Open Marketing Email. If the lead opens the follow-up email, you want to add 10 points to the lead, send a text message and also share the lead. First, go to Adjust lead points. 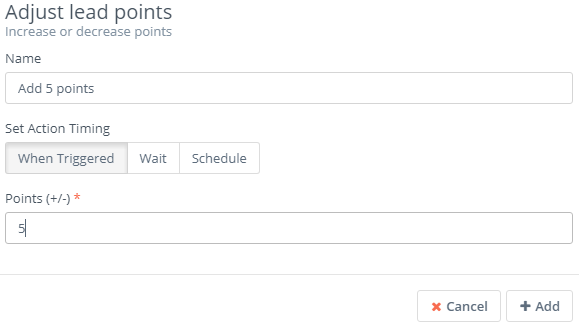 Add 10 points and then click Add. Next, go to Actions and click Send SMS. Write the message and then click Add. Finally, you may want to share that lead with users or groups within your company. Head over to actions and click Share. Choose whom do you want to share the lead with and then click Add. Notice that this was just one of the many examples of building a simple workflow. 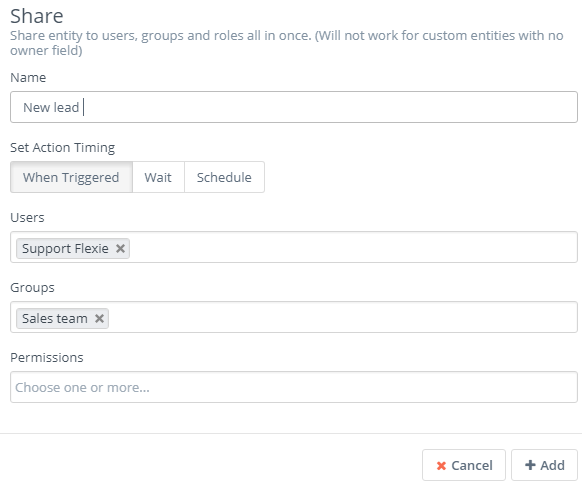 In Flexie CRM, depending on your needs, you may build more complex workflows.